Nakameguro has come a long way from a sleepy riverside town haunted by post-war ghost stories. Today it is known as a place to be, not only during Hanami (Cherry Blossom Season), but also year round. Part of this is thanks to nearby neighbor Daikanyama, which has had a strong influence on the developing trendy sub-culture of Nakameguro. Today MetroHomes will be taking you through some of Nakameguro’s popular restaurants, attractions, and nearby rentals. Taproom: Baird Beer is one of Japan’s premiere micro-breweries and now also has a flagship restaurant and bar in Nakameguro. With over 20 taps dispensing Baird’s finest, and 4 more featuring international craft-beer this is the place to be whether it’s a “nama biru” or just a gin and tonic that you’re looking for. Yutoku Soba: If it’s the pure and traditional Japanese cuisine that's on your mind head to Yutoku Soba. Noodles are made fresh twice daily and bare little resemblance to the dried noodles you might find at many low end restaurants or at the "supa." Still the price is reasonable and the décor is simple, matching the beauty of the soba. It’s not just the soba though, don't miss out on the seasonal Tempura while you’re there. Kakitsubata Bekkan is a store that sells products that are so beautiful they could be considered art, and that’s why they have a gallery displaying them just a few steps away. This could be a great store to buy that one piece of furniture or decoration that will make your new apartment a home. It could also be simply a great gallery to visit on the weekends to see what’s new and dream. Hanami: It may only come once a year but living in Nakameguro during Hanami will be an amazing advantage, and be sure to make you popular with friends. You’ll be able to enjoy the amazing river walk every day and late at night, long after the crowds have gone home and the noise has subsided. Even if you were to experience living in Nakameguro during Hanami only once it would surely be a memory you'd never forget. So When Would You Like To Move? We have many more personal favorite hangouts in Nakameguro that we’ve learned of from friends who’ve lived there, but in order for you to find more you just may have to become a local. You can take a look around some of the most recent listings in Nakameguro on MetroHomes, or if it’s more convenient you can set up a personal showing directly with one of our trusted partners. They'll be sure to personally tailor a list of prospect properties based on your budget and preference. 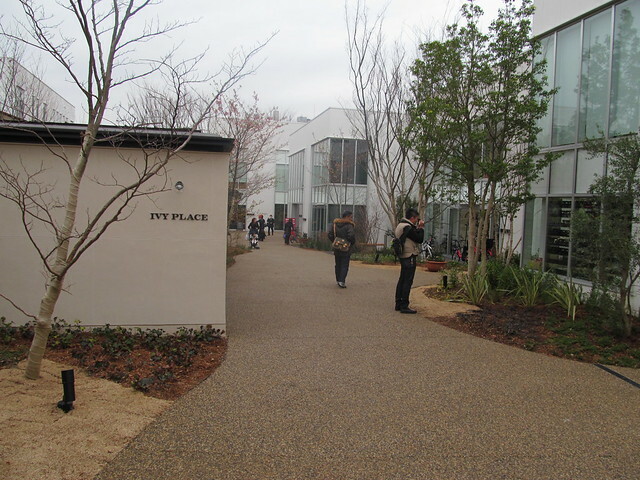 Don’t forget to let them know that Metropolis and MetroHomes sent you and that you're looking in Nakameguro!